Hezbollah Secretary General Sayyed Hasan Nasrallah expressed from Al-Beqaa his support for Al-Ghad Al-Afdal (Better Tomorrow) list with all its members even if they were not directly related to Hezbollah. His eminence reassured his support for candidate Mohammad Nasrallah, saying “he is a representative of both Amal Movement and Hezbollah and has the best qualifications and commitments,” and called for wide participation in the elections. Sayyed Nasrallah indicated that the people of Eastern Biqaa and Rashaya are a major element of the resistance and its battle in defending their land for large numbers of leaders and fighters were martyred during the resistance operations against the Israeli occupation and ISIL. “Due to that, this region supports this list, and its strong presence in the parliament, cabinet, and state institutions is a real guarantee for the resistance and the golden equation… In addition to the armament, the resistance needs a shield to rely on against conspiracies,” he said. On the environmental level, his eminence referred to Litani river and Qaroun lake pollution prevention projects and assured that the parliament members hold the responsibility of that especially after the budget has been approved. On the existential level, Sayyed Nasrallah noted that the Israeli enemy poses threat on the existence of people in this region because it has projects in this region that are based on its geographic location which is close to occupied Palestine. 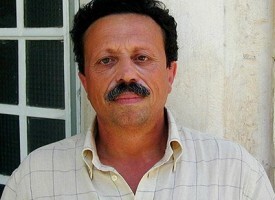 “The diversity in Eastern Beqaa and Rashaya is fundamental and old and it should be preserved and protected so that people can stay in their lands and villages… even though the enemy today is too weak to wage a land attack on Eastern Beqaa, Rashaya, and the South after the Merkava massacre that took place, precautions must be taken, and harmony between Army, Resistance, and People would be the strategic response to any threat,” he added. In a similar context, Hezbollah secretary general wondered about the reason why some parts in Eastern Beqaa still incite against the resistance knowing that it ensures their safe and honorable existence… stressing that the social and economic bilateral relations between the people in Beqaa and Damascus has always been a normal thing. “whoever bargains on the destruction of Syria for the sake of the US and Israel would be deceived”. On another hand, Sayyed Nasrallah stressed the importance of co-living in the region and asked people to prevent any political conflict from transforming into a sectarian one. “Whoever has no evidence refers to sectarian fanaticism, any movement or party that has a clear cause does not need to stir incitements. In contrast, whoever has no credibility and is weak refers to inciting people against one another…” he further stated. Regarding the US assault on Syria Saturday, Hezbollah secretary general noted that US-France-Britain hastened the attack on Syria because they wanted to end it before the “Organization for the Prohibition of Nuclear Weapons” delegation – which wanted to examine the soil in Douma – arrives to Syria on Sunday. His eminence praised the bravery of the Syrian Air Defense Forces, and listed the supposed goals behind the US-France-Britain attacks. سيناتور روسي: حماقة ترامب قدمت خدمة كبيرة للقيادة السورية وقضت على الحل السياسي! – يفتّش الحريري عن الأماكن التي لحزب الله فيها مرشحون ولوائح، ويسعى لتجميع أيّ تحالفات ولو كانت لا تشبهه سياسياً، أملاً بالتأثير على لوائح حزب الله، وخصوصاً منح مرشح سني سينضمّ لكتلة المستقبل إذا حجزت اللائحة مقعداً لها ونال مرشحه العلني أو المموّه أصواتاً تفضيلية كافية، وإلا السعي لترجيح كفة مرشّح شيعي على حساب أحد مرشحي اللائحة، أو أحد الحلفاء المسيحيين فيها. وهذا ما يقوله تشكيل لوائح يشارك فيها المستقبل أو يدعمها من تحت الطاولة، في دوائر الجنوب والبقاع، والقضية لا تتصل بتنافس مشروع لنيل فرص الفوز بمقاعد إضافية، بل بهمّ والتزام عنوانهما المواجهة مع حزب الله التي أعلنها عنواناً لمعركته الانتخابية في خطاب الإعلان عن لائحة بيروت. – بات واضحاً أنّ حملة تهميش اللواء أشرف ريفي، سعودياً، والتبنّي الأوروبي الأميركي لمؤتمري روما وباريس المشبوهَيْن، وحملات لوائح الحريري المباشرة وغير المباشرة، حلقات في سلسلة واحدة عنوانها إعادة اعتماد الحريري رأس حربة الغرب في مواجهة حزب الله، فلمؤتمر روما وظيفة تتصل بفتح ملف سلاح حزب الله، تحت عنوان شرط دولي غربي للمساهمة في دعم الجيش والأجهزة الأمنية، هو وضع استراتيجية عسكرية، تسمّى دفاعية وليس فيها من الدفاع شيء، لأنّها مطلوبة خالية من كلّ ما يزعج «إسرائيل» ويضع حداً لانتهاكاتها للسيادة اللبنانية. فالاستراتيجية التي سيرتبط بها دعم الجيش والأجهزة الأمنية مطلوب أن تجيب عن سؤال يتصل بمستقبل سلاح حزب الله، وإظهار موقف رسمي مستعدّ للتفاوض على هذا السلاح ورفع الغطاء عنه، ومؤتمر باريس هو مؤتمر يتلطّى وراء دعم لبنان اقتصادياً، لقول الشيء نفسه في السياسة، أنّ هناك مليارات تنتظر لبنان، لكنها تنتظر موقف لبنان من سلاح حزب الله، علماً أنّ المليارات المزعومة هي المزيد من الديون ليس إلا، ولا يُخفى على أحد أنّ تحديد مواعيد للمؤتمرين تسبق الانتخابات، وتستعجل إقرار الموازنة بالتهويل والضغط بعيداً عن الحرص الدستوري على الاستحقاق الدستوري المتعلق بالموازنة نفسها، كلّه ضمن روزنامة مدروسة معاكسة لمصلحة لبنان ومصلحة الراغبين بالدعم لو كانوا صادقين. فالطبيعي في بلد يذهب لانتخابات كلبنان أن تنتظر هذه المؤتمرات الانتهاء من الاستحقاق الانتخابي وما تفرزه من واقع حكومي، للتفاوض مع حكومة باقية لا حكومة راحلة، والتطلع لبرنامج تصدّقه قوى نالت تفويضاً شعبياً طازجاً، لا قوى راحلة وقد لا يعود بعضها، أو لا يستعيد حجمه وموقعه، فالتوقيت مشبوه، كما الهدف، تلميع للحريري، وتقديمه بوابة للعلاقة بالأوروبيين والغرب والخليج، في قضيتي الأمن والمال. – بعد الانتخابات كلام من نوع آخر. The Russian Central Election Commission (CEC) has published preliminary results of the 2018 presidential election [55.34% of ballots processed]. Vladimir Putin is leading with about 75% of votes. Communist Party candidate Pavel Grudinin is running second with about 13%. A candidate from the so-called “liberal opposition” Ksenia Sobchak currently has about 1.5%. The voter turnout is currently 59.93%. 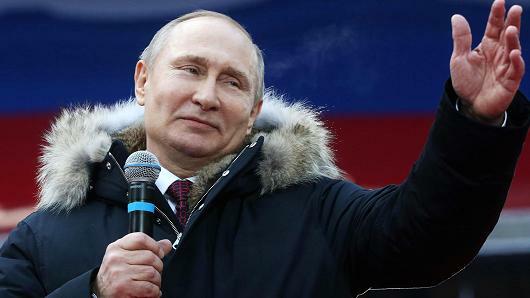 Vladimir Putin is going to secure a decisive victory in the Russian presidential election 2018. A large-scale campaign of the so-called “liberal opposition”, backed up by Western power holders, aimed at discrediting the election has resulted in a total failure. The voter turnout of 59,93 shows that a major part of the Russian population has ignored the opposition’s appeals to ignore the election in order to declare it illegitimate. Even if claims of the so-called “liberal opposition” and the “international community” about alleged “mass forgeries” are close to some kind of reality and the current government has “added” additional 5-6% to Putin [it’s hardly possible to add more under the conditions of live broadcasting from polling stations], the current Russian president has achieved a resounding victory. It’s interesting to note that Grudinin, a candidate from Russia’s Communist Party, has achieved the second result with about 13%. Grudinin has been the Putin’s competitor that has shown himself as professional politician. One the same time, the communist candidate has more hard-line views on the governemnt and foreign pilicies that Russia should implement. On the same time, the “liberal opposition” candidate, Sobchak, has failed. She and her backers from pro-Western power elites have tried to exploit the desire of changes among the population, especially among middle-class in big cities. Sobchak, a pop-tv anchor, has promoted herself as a “none-of-the-above” candidate and called on all who do not want to vote in favour of Putin to support her. This strategy has appeared to be inefficient. Earlier today, the CEC’s website and information center have faced a cyber-attack from from 15 countries. However, no furious reports over the meddling of 15 states into the Russian election have been seen in the MSM so far. In turn, the Russians have reacted to the attack without drama. In coming days, SF will continue providing reports about the results of the Russian presidential election and further developments. The Americans and their allies endeavored to trade with the understanding accomplished by Hezbollah with ISIS after a clear victory on the militants of ISIS in the barrens of Lebanon and Syria. 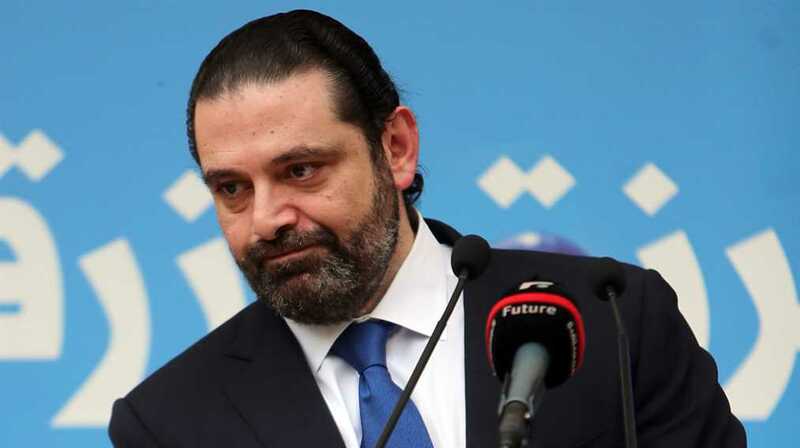 This understanding depended on transferring the remaining militants and their families along with their individual weapons to Deir Al Zour in exchange of revealing the fate of the Lebanese kidnapped soldiers and liberating the martyrs’ bodies and a detainee who belongs Hezbollah. The Americans and their groups in Iraq and Lebanon accompanied with the satellite channels and newspapers funded and operated by Saudi Arabia hastened to distort the image of Hezbollah and the clarity of its victory and accusing it with the seriousness in fighting ISIS which the victories and the blood of the martyrs prove. The Americans have waged a war of disrupting the understanding by hindering the bus of the militants of ISIS in the desert, but Hezbollah did not get embarrassed, on the contrary it defended its understanding, showing the ethics of wars and the concept and the strategy of the positive psychological warfare in order to dismantle ISIS and to prepare for the surrender of ISIS’s militants in its next battles, it has perfected the use of the campaign which was waged against it to show how Hezbollah deals, its fighting value, its military features and in preparation for the surrender of ISIS’s soldiers whenever they are besieged by its fighters, being confident that they will not be treated brutally as they treat their victims. In the last stages of the understanding, the arrival of the convoy to its destination, and the release of the resistant detainee Ahmed Maatouq all the balances of forces which surround the war in Syria have been brought. The Americans as Hezbollah have made every effort, but this time the word of America was versus the word of Hezbollah and the war was in its peak at the borders of the Euphrates towards Deir Al Zour, till Jacob Amirdor said that Israel fought in 2006 to push Hezbollah to beyond Litani, it is two kilometers away from the borders from the side of khardali. Now Hezbollah is on the borders of the Euphrates expanding hundreds of kilometers, so within days the war of Deir Al Zour has been resolved, and the Americans announced that they stopped following-up the convoy which belongs to ISIS depending on a Russian request, that convoy continued its way and reached its destination, thus Hezbollah was able to liberate its resistant detainee. Therefore, it was proven that the word of Hezbollah was the influential, moreover America which tried to trade to undermine the understanding and did everything possible to disable its Implications has turned into a partner in implementing it in favor of Hezbollah, as it is a partner that offers the participation to liberate the detainees of Hezbollah on the day of exchange after the war of July to ensure the arrival of the martyr Samir Al-Kuntar liberated to Lebanon. These are the real balances of forces in the region for those who know the meaning of reading politics and strategies. The leader of Hezbollah Al Hajj Abu Mustafa has made a rare TV interview from Deir Al Zour after raising the siege, he emerged as a political and high intellectual leader, he chose his expressions very accurately. He talked within minutes what is enough to draw the course of the war in Syria and the path of Hezbollah in it. He said that emerging to media is a translation of the equation “we will be where we should be” into “we will be as we should be” When it is needed to emerge publically we emerge and vice versa. He said that the military steps are decided by the Syrian leadership and we carry out what the leadership demands. He added that the decision of the Secretary-general of Hezbollah of emerging to public is in order to show this axis of resistance in its strategic victory and in all its aspects from Russia, Iran, Iraq Syria, and Lebanon, where Palestine is the cause, giving every part of this axis a meaningful feature, Abu Mustafa read a written text and repeated sentences which he said twice, he was a distinctive leader in his performance, but many times he spoke fluently without a text, so the smoothness of the expression was an honesty and a credibility to a leader as his indication to the symbolism of the five pillars of the axis of resistance “friendly Russia, Iran is the Islam, Iraq is the Arabism, Syria of Al-Assad , and the resistant Lebanon”, with these pillars the resistance is wining by its morals, culture, courage, and faith. Few days ago immediately after the liberation of Deir Al Zour the Syrian President Bashar Al-Assad issued a republican decree in which he determined the date of the sub-elections in Deir Al Zour on the thirtieth of September for a vacancy of a parliamentary seat, while the Lebanese officials are escaping from holding anticipating sub-elections for months and years. Between the security situations of Syria especially Deir Al Zour and the situations of Lebanon, we know the meaning of the existence of a country and the appropriate conditions for holding elections, and how the men in powers are. So those who say that the elections in Syria are blocked, their problem is not in the appropriate security and administrable conditions but the blocking, and those who are afraid to hold them on their account, will lose more when the date is postponed, so hasten to do so today, it is better than tomorrow or is not as bad as tomorrow. – جهد الأميركيون وحلفاؤهم للمتاجرة بالتفاهم الذي أنجزه حزب الله مع داعش بعد نصر واضح على مسلحي التنظيم في جرود لبنان وسورية، يقضي بنقل ما تبقى من المسلحين وعائلاتهم بأسلحتهم الفردية إلى محافظة دير الزور مقابل كشف مصير العسكريين اللبنانيين المخطوفين وتحرير جثامين شهداء وأسير لحزب الله، واستنفر الأميركيون جماعاتهم من العراق ولبنان والقنوات الفضائية والصحف المموّلة والمشغلة من السعودية لتشويه صورة حزب الله ونقاء نصره، واتهامه بجدية حربه على داعش التي تتحدّث عنها الانتصارات ودماء الشهداء. وخاض الأميركيون حرب تعطيل التفاهم بحجز قافلة مسلحي داعش في الصحراء، فلم يُصَب حزب الله بالإحراج بل خرج مدافعاً عن تفاهمه مقدّماً فيه أطروحة في أخلاقيات الحرب وفي منهج واستراتيجية حرب نفسية إيجابية لتفكيك داعش والتمهيد لمسار استسلام مسلحيها في معاركه المقبلة، وأحسن استثمار الحملة ضده لتنقلب وجهاً من وجوه الدعاية للحزب وقيمه القتالية ومناقبيته العسكرية، وتمهيداً لاستسلام عناصر داعش، كلما حوصروا من مقاتليه، واثقين أنهم لن يعامَلوا بالوحشية التي عاملوا بها هم كل مَن وقع بين أيديهم. – استُحضرت في آخر فصول التفاهم، ببلوغ القافلة مكان وصولها النهائي وتحرير الأسير المقاوم أحمد معتوق، كلُّ موازين القوى المحيطة بالحرب في سورية وعليها، فرمى الأميركيون بثقلهم ورمى حزب الله بثقله. وكانت الأمور هذه المرة كلمة أميركا مقابل كلمة حزب الله، والحرب في ذروتها على ضفاف الفرات ونحو دير الزور، حتى قال يعقوب عميردور إن إسرائيل قاتلت عام 2006 لتدفع حزب الله إلى وراء الليطاني وهو يبعد كيلومترين عن الحدود من جهة المطلة الخردلي، وها هو حزب الله على ضفاف الفرات يتوسّع مئات الكيلومترات، وخلال أيام حُسمت حرب دير الزور، فأعلن الأميركيون أنهم بطلب روسي أوقفوا متابعة القافلة الخاصة بداعش، فأكملت مسيرها ووصلت نقطة النهاية وحرّر حزب الله أسيره المقاوم معتوق. وكسر الإرادات هنا يقول إن كلمة حزب الله خرجت هي العليا، لا بل إن أميركا التي تاجرت للنيل من التفاهم وبذلت كل ما تستطيع لتعطيل مفاعيله، تحوّلت شريكاً في تنفيذه لحساب حزب الله، كما لو أنها شريك يقدم المساهمة لتحرير أسرى حزب الله يوم التبادل بعد حرب تموز، لضمان وصول الشهيد سمير القنطار محرراً إلى لبنان، هذه هي موازين القوى الحقيقية في المنطقة لمن يعرف معنى قراءة السياسة والاستراتيجيات. – أطل القيادي في حزب الله الحاج أبو مصطفى في لقاء تلفزيوني نادر الحدوث، من دير الزور بعد فك الحصار عنها، فظهر قائداً سياسياً وفكرياً عالي الثقافة دقيق الاختيار في التعابير، قال بدقائق ما يكفي لرسم مسار الحرب في سورية ومسيرة حزب الله فيها، فقال إن الإطلالة على الإعلام ترجمة لمعادلة نكون حيث يجب أن نكون بمعادلة نكون كيف يجب أن نكون، فعندما يقتضي الظهور علناً نظهر علناً وعندما يقتضي أن لا نظهر فلا نظهر، وقال إن الخطوات العسكرية تقررها القيادة السورية ونحن ننفّذ ما تطلبه القيادة. وقال إن قرار الأمين العام لحزب الله بالظهور العلني ليظهر محور المقاومة في هذا النصر الاستراتيجي بتجلياته كلها، ومعه روسيا الصديقة، من إيران الإسلام إلى عراق العروبة وسورية الأسد إلى لبنان المقاومة ففلسطين القضية، مانحاً كل ركن في المحور صفة ملازمة ذات مغزى. رأ أبو مصطفى في بعض كلامه نصاً مكتوباً وكرّر جملاً قالها مرتين، فكان قائداً مميزاً في الأداء، لكنه تدفق مرات بلا نص فكانت سلاسة التعبير صدقاً ومصداقية لقائد، مثل ترميزه لخماسية أوصاف أركان محور المقاومة، بهؤلاء تنتصر مقاومة رصيدها أخلاق وثقافة وشجاعة وإيمان. – أصدر الرئيس السوري بشار الأسد قبل أيام وفور تحرير دير الزور مرسوماً جمهورياً يحدّد موعد الانتخابات الفرعية في دير الزور عن مقعد نيابي شاغر في الثلاثين من شهر أيلول الحالي، بينما يتهرّب بعض المسؤولين اللبنانيين من إجراء انتخابات فرعية منتظرة منذ شهور وسنين، ويحاولون تهريب الانتخابات كلها منذ سنين ويكرّرون المحاولة اليوم، وبين حال سورية الأمنية، وخصوصاً دير الزور وحال لبنان تكمن العبرة في الحديث عن معنى وجود الدولة، وعن ظروف مناسبة لإجراء الانتخابات، والأهم كيف يكون رجال الدولة، وللذين يقولون إن الانتخابات في سورية معلّبة، ولذلك لا يهابون إجراءها جواب بسيط، إن مشكلتكم إذن انتظار تعليب الانتخابات وليست الظروف الأمنية والإدارية المناسبة، أو الجواب إذا كانت في سورية ممكنة الإجراء ومعلبة، فلتكن عندكم ممكنة الإجراء ولا تعلّبوها، أما للخائفين من إجرائها على حساباتهم وأوزانها، فالجواب أنكم ستخسرون كلما تأجّل الموعد مزيداً من الحجم والوزن، فزمن هزائم مشروعكم سيتجلى أكثر وأكثر، فسارعوا إليها اليوم أفضل من الغد أو أقل سوءاً، واعملوا بالقول المأثور، «إن هبتَ أمراً فقَعْ فيه، فإن شدّة توقيه أعظم مما تخاف منه». Can the Putin Fans League win municipal elections in New York City? Not bloody likely, you’ll murmur, and probably justifiably so. However, in the municipal elections last week, pro-American forces captured one third of the seats in Moscow. A great shock, slightly mitigated by the media silence that accompanied both the election and its results. As a rule, I do not dwell much on internal Russian politics (as opposed to foreign relations). They are parochial, obscure and not democratic. That is true for internal politics in every country I am aware of, but in Russia, they aren’t even competitive. Kremlin wiseguys try and fix the results with all the subtleness of Democratic primaries under Ms Debbie Wasserman Schultz. This time they had a seemingly brilliant idea: wouldn’t it be nice if few people would turn up at the election booths? Only those requested to vote? So they had zero publicity, zero announcements, zero TV coverage. People were vaguely aware of the municipal elections but the affair was so low profile that very few cared to attend: slightly over ten per cent of the electorate. The cynical subterfuge flopped badly. In Moscow (which is the only place in Russia that counts) the three main opposition parties, the Communists and the Nationalists, as well as Kremlin-friendly Socialists, were been decimated. Their votes had been snatched by pro-Western liberals, self-described as “those of good genes”, “the fair-faced ones”, “handshake-worthy”; all these epithets vaguely connected in Russian mind with prosperous Jewishness, of sorts, or with Jewified Soviet nomenclature. The best-known names include Ms Lucy Stein, a young Jewish journalist of some notoriety – she installed plaster copies of her breasts and filmed a staged act of a little boy being roughly treated by Putin’s police. Another one is Mr Maxim Katz, a young Jewish activist – he organized the delivery of flowers to the place of the opposition leader Mr Nemtsov’s assassination, allegedly with some profit for himself. These youngsters (in their early twenties) have been led by Mr Dmitry Gudkov, a Russian Parliament Member and a son of a Russian Parliament Member. This sounds like the House of Lords, but Gudkov the Senior is an ex-KGB colonel, an oligarch and the owner of a bailiff business, rather than a hereditary peer. Gudkov’s people made a loose coalition with Yabloko (Apple, in Russian), a liberal party of some prominence in the Yeltsin years. They are against Putin’s policies, for the restoration of the Crimea to the Ukraine and for an alliance with the liberal West. While other parties didn’t give a hoot, the liberals cared to come to the neglected elections, and they delivered their voters to the booths. For that purpose, they imported American technology, and one of Sanders’ operatives, a Russian-born Mr Vitali Shklyarov, who had come to set up what they called “a political Uber”, a web app for fielding candidates and getting voters. In addition, they vastly overspent their competitors. Democracy in action? Forsooth! This was a clear-cut example of real (as opposed to imaginary) interference in foreign elections. While endless FBI probes have never produced any tangible proof of Russian interference in the US elections, and the Facebook investigation “revealed that it had sold as much as $150,000 in political ads to pro-Kremlin entities between 2015 and 2017”, the US interference in recent Moscow elections had been vast, powerful and effective. The pro-American forces spent over sixty million dollar in Moscow alone by very conservative estimates, and probably much more. And the funds came from abroad. The very idea of Russian interference in the US elections had been flattering but silly. The Russians are not in the same league, in speaking of political technologies. The Americans are much more masterful, being trained in a competitive environment. The Russians’ only chance to have fair elections is adopting another American technology, namely the active fight against foreign interference. The Kremlin could and should investigate the path of every US buck to the Stein-Katz Gang, and deal with it as harshly as Americans are dealing with imaginary Russian interference. But would they? I doubt it. The wiseguys who mismanaged elections for Kremlin will do all they can to kill the story. No important Russian media carried it, by direct orders from Kremlin. We have proof to back up our claims of the US interference in the Russian elections: a confession made by the coordinator for Open Russia, a political body created by Mr Michael Khodorkovsky. This oligarch, once the richest man in Russia, did nine years in a Russian jail for massive tax evasion, white-collar crimes, organized crime and conspiracy for murder, as brutal and ruthless a shark as ever swam murky waters of Russian business and politics. Mr Khodorkovsky had been an American agent of influence for many years. Since being pardoned by President Putin, he moved abroad and became the focal point for the US-led clandestine campaign for regime change in Russia. Together with other exiled (and wanted) oligarchs, Tel Aviv-based Mr Nevzlinand London-based Mr Chichvarkin, Mr Khodorkovsky funnels money to Russia’s pro-Western opposition. His coordinator Ms Maria Baronova had been quite close to Mr Khodorkovsky but parted with him some time ago. In her Facebook blog she admits that “Gudkov and Katz are a secret project of M. B. Khodorkovsky” while other elements of the opposition are a public project of Mr Khodorkovsky. In other words, the whole campaign has been organized from Washington, or perhaps from Langley. As we learned from Wikileaks-published State Department cables, this is the current trend of CIA for orchestrating regime change: instead of sending money directly to the opposition with a courier, they employ oligarchs as go-between. 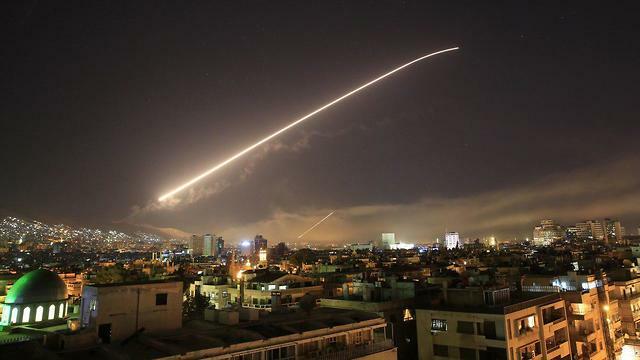 This mode has been used in Syria since 2006, as well as in Lebanon, and now is being applied in Moscow. The winners of the recent municipal elections in Moscow weren’t just the “fair-faced” children of nomenclature, but appointees of the US deep state. They did it using American know-how and American money. This is the real and very successful interference, and the organisers got away with it. The Russian post-Soviet political system as organized by Putin’s wiseguys should share the blame. The Communists, Nationalists of Mr Zhirinovsky and Socialists of Mr Mironov have been tamed and house-broken so efficiently that they lost their balls, their will power, their desire for victory – and their voters, as well. People stopped to care about them. The ruling party United Russia isn’t better; it is a toothless clone of the toothless CPSU, the late Soviet Union Communist Party that was dismantled by Gorbachev and Yeltsin without a single objection from millions of card-carrying members. It is a party of people who want to have power and its privileges. The Ukraine had been ruled by a similar Party of the Regions. Led by Mr Victor Yanukovych, the party fell to pieces after the coup, its members deserting the sinking ship as fast as they could. United Russia will also run away in a case of trouble; they will helplessly watch Mr Khodorkovsky enter the gates of the Kremlin and probably applaud him. The United Russia’s 70% of vote is no guarantee of support for Mr Putin’s independent course. It would be better for Putin to rely upon smaller but more reliable and devoted cadres. Lenin used to say, ‘a small anchovy is better than a big cockroach’. The Kremlin spokesmen comfort themselves and others by stressing very limited powers of the elected deputies. By law, they may deal with municipal questions only. However, it is not unusual for such bodies to reach for more power in a revolutionary situation. In France, in 1789, the elected parliament was intended to be an advisory to the monarch, but very soon it assumed all the powers and chopped off the king’s head. In the USSR, in 1991, the Russian Federation parliament had very few rights being subservient to the Soviet parliament, but it assumed rights and broke up the USSR. Forget about Mr Navalny. Perhaps we should get used to the idea that the next president of Russia will be called Maxim Katz, and Lucy Stern his Foreign Minister. That is, unless Mr Putin will do a better job at the forthcoming Presidential elections.